Every now and then, you might have come across Instagram stories which have ‘music’ in it, and whenever you play it, the apps says, ‘Instagram music isn’t available in your region’. Well, Instagram Music is the latest addition to Instagram stories which lets you add a short music clip to your stories. Tapping on that will play the song, and users can choose to respond with a message or share the song to their own story. I wanted to try this feature but for some reason, I couldn’t find the option anywhere. 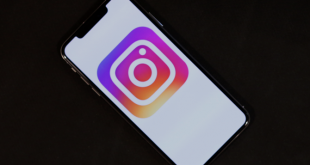 Turns out, Instagram has only released this feature in few countries like – Australia, New Zealand, France, Germany, Sweden, the UK, and the U.S. If you live outside of these countries, you can neither watch other people’s Instagram music or create one of your own. Fortunately, there is a workaround to not only put music on your stories and even access others’ too with this guide. Let’s get started. Instagram Music is different from the Spotify stories you’ve been watching on the Instagram feed. Unlike Instagram Music, Spotify just lets you put the album cover of the song you listen on Spotify and there is no sound on those stories. If you want to add a Spotify story, go to Spotify and play a song then tap the options button on the top right. Tap the ‘Share’ button and select ‘Instagram Stories’. It would open the Instagram app and put the album cover as the story preview and you can post it as your story or DM to your friends. Just like Spotify, Instagram Music is licensed from record labels and they can only release this feature out in those regions. 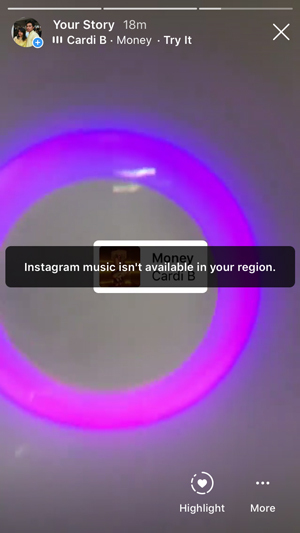 To bypass this geo-restriction you can use a good VPN to access Instagram Music. Well, there are additional steps than just Turning on the VPN. 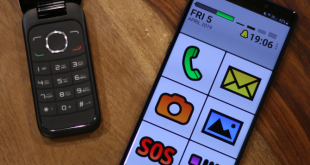 It works on both Andriod and iOS devices. First, uninstall your Instagram app from your device. This is crucial because if the app logs in your country when you run the app for the first time. After uninstalling the app, turn on the VPN on your phone. I use Smart DNS Proxy but you can use any VPN and it should work fine. SurfEasy is a free alternative if you don’t want a paid VPN. Make sure, you connect a server from one of these countries or else you won’t see the music button. List of countries- Australia, New Zealand, France, Germany, Sweden, the UK, and the U.S.
Once your VPN is up and running, go to the Play Store and install Instagram again. After the installation has finished, Login to your account. Now tap on the Add story button or swipe right on the home screen in the Instagram app. Now look on the bottom left, you’ll see the Music tab. You can record a video by tapping the button and then choose the music of your choice. You can only add a short 15-second music clip to your stories and adjust the slider to select the favorite part of the song. Pretty neat, right? 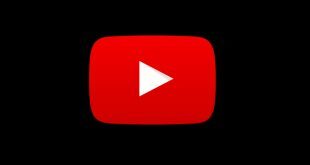 There’s more, you can add the music to still images as well. Go to your story and snap a pic in the normal mode. Tap the sticker button and select music. Search for your favorite track, slide to your favorite part and add. Post the story. You can move the music tile around the story page and place it anywhere, It would show as a still image and show an error ‘Instagram Music is not available in your region’ if the person viewing your story isn’t from one of the countries. For users who use this method or are from those countries would see the story with music playing. Here you go, If you followed the steps correctly, you would see the music button in the Instagram stories. I agree this is not the fastest or the reliable method to put music on your Instagram stories. But it is the only method which works if you don’t live in those countries. Try it and tell us if it works in the comments below or if you have a better method to this drop a tweet.